The global bitumen market is forecast to grow at a Compound Annual Growth Rate (CAGR) of four percent between 2015 to 2020, and the world’s largest energy traders such as the Vitol Group and the Trafigura Group Pte. are in a race to increase their market share. The bitumen market was valued at around $75 billion in 2014 and is expected to reach $94 billion in 2020, according to a report by Zion Research, titled, “Bitumen (Paving Bitumen, Oxidized Bitumen, Cutback Bitumen, Bitumen Emulsion, Polymer Modified Bitumen and Others) Market for Roadways, Waterproofing, Adhesives, Insulation and Other Applications – Global Industry Perspective, Comprehensive Analysis and Forecast, 2014 – 2020”. Bitumen is a semi-solid form of petroleum, which is used to make asphalt for roads, waterproofing for roofs, insulation, and adhesives. It is either obtained by distillation of petroleum or is available naturally, such as in Canada’s oil sands. 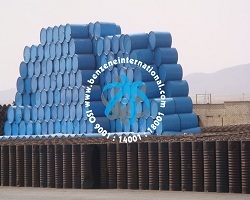 Bitumen is used mainly in road manufacturing. A surge in road construction activity in Asia will propel growth for the product going forward. 75 percent of the global consumption of bitumen was used for road construction in 2014. Waterproofing of roofing and building construction was the second major consumer of bitumen in 2014. Increased construction of homes to cater for the growing population is likely to add to the bitumen demand in the future. Along with roofing, polymer modified bitumen (PMB), which is used as a chemical additive and adhesive, will witness rapid growth compared to other forms of bitumen. Trucks, trains, and barges have been used traditionally to transport bitumen from refineries to local consumers; however, a drop in supply from the aging refineries in the U.S. and Europe has necessitated the use of oceangoing tankers, to supply the material from its source of production to the end consumer. Vitol, the largest independent oil-trading house teamed up with U.S.-based Sargeant Marine Inc., which distributes asphalt to customers worldwide to form Valt, which operates the world’s largest dedicated asphalt fleet, handling parcel sizes from 20 metric tons up to 37,000 metric tons through its fleet of fourteen specialist vessels, according to its website. “It used to be mostly a small distribution business,” Chris Bake, a senior executive at Rotterdam-based Vitol, said in an interview. “Now it is more of a whole arbitrage business requiring a global reach and shipping capacity,” reports Bloomberg. Trafigura group is also not far behind. Its Singapore-based unit, Puma Energy has added four new bitumen vessels, taking the total number of vessels to 11, which cater to the Asian markets. “We see a definite upward trend in the number of nautical miles for bitumen,” said Valt Chief Commercial Officer Nick Fay, who estimates an annual increase of about 7 percent. “All the new refineries that are getting built don’t make bitumen,” reports Bloomberg. The Guvnor Group is planning to invest in the Perth Amboy asphalt refinery and storage facility in New Jersey, which has been shut since 2008, reports Bloomberg. There is hardly any public information about the bitumen market, which makes it ideal for the large energy traders, who use their energy expertise and global connection to supply to far-off markets. “There is a perception that the world is going to be more disconnected — supply and demand-wise — and we are there to help connect the dots,” Klintholm said. Nonetheless, increased use of asphalt for roads and environmental concerns with bitumen manufacturing could pose a risk for the growth of the bitumen industry in the future.